The Other Story takes place over the course of a holiday weekend during which Nicholas is vacationing at a seclusive Tuscan seaside resort. For months, Nicholas has been tricking his publishers into thinking he's on the verge of completing another bestseller. However, Nicholas has been struck with the most severe case of writer's block, and is desperate to find some source of inspiration so he can meet deadline. During his time at the resort, Nicholas learns a few humbling lessons, but by the end, it's easy to suspect he still hasn't changed at all. 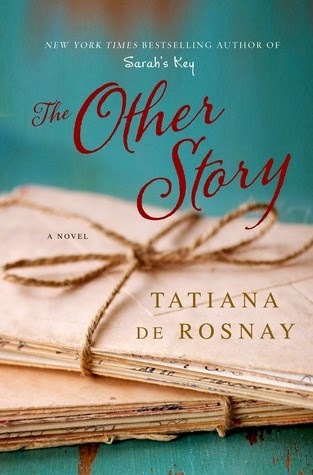 Tatiana de Rosnay narrates two stories at once - that of Nicholas' past and his journey to learning more about his family history, and that of his vacation in present-day. Although learning about Nicholas' past was intriguing to a point, I absolutely loved reading about his experiences on the island even more - especially those involving the most ruthless, infamous publisher Dagmar Hunoldt. Many reviewers will say that they don't like a particular book because the main character isn't "likeable." But I disagree. I enjoyed watching Nicholas suffering. I felt his confusion and hard times were well-deserved, which satisfied me because he was so pathetic. I think The Other Story is exemplary - I thought it was hilarious and brilliant. Perhaps I especially loved it because I've worked with authors before, and appreciated Nicholas' fall from grace. It will be impossible for authors, writers, readers, and all others in the publishing industry not to love this dark and quirky novel.